Very well done, I look forward to part 3. I think Narconon's fake referral sites are criminal. I like the first two parts very much. But for me the most important part is part 3 -- I might use that data in my book, Sciemtology: The Church of the Imbecile. Appreciative footnotes and acknowledgements to Mary McConnell are in order, if anyone uses this tremendous effort. Thanks guys! Glad you are enjoying it. I must say,however, this is a team effort over at Narconon Reviews and on this series, I am just the messenger posting it around town! If you missed the earlier segments of this series, see Part 1 or Part 2. "In 2003, Google changed it’s search algorithm with an update code-named “Florida”. Essentially, it would no longer consider “keyword stuffing” to be an accurate determination of rank. In many cases, websites simply sank in ranking. 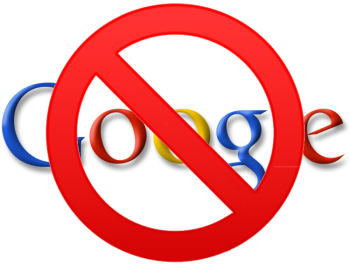 In other cases, Google sent out letters notifying website owners that they were completely de-listed and removed from any possibility of Google ranking. Ironically, many Narconon based websites were de-ranked, delisted, or in Scientology terms “disconnected from as being unethical” by Google itself. Many FSMs that were doing exceptionally well shut down almost overnight. Some tried to “sell off” their delisted websites to unsuspecting graduates or staff members who thought they might be at least as successful if they bought them. Average cost was $10,000 for these sites. Only after purchasing them did people quickly realize they were now worthless due to the Google updates. If you missed the earlier segments of this series, see Part 1, Part 2, or Part 3. Narconon isn’t alone in the increased expense of marketing on the internet. Traditional treatment facilities have been affected as well. Many facilities find they cannot compete financially in the internet marketing arena. For a lower cost program, it is impossible to spend $6000 on a client when their program only costs $10,000 to attend. However, what is unique about Narconon is their terrible reputation. Narconon is losing much more business than a traditional treatment center due to all the negative reviews that are out there. "If you didn’t have the time or knowledge to get your website up to the top listings, there came a way for companies to immediately come to the top listings if they were willing to pay a fee for it. Essentially, a small company known as Overture began contracting with Google as a way to get advertisers who didn’t have the ability to organically generate high rankings to bid on ranking and be shown in a top position. Overture eventually gave way to what is currently known as “Google Adwords”. Google puts paid searches to the top and right side of organic listings. If you click on any of them, it costs the advertiser money. Paid advertising is extremely expensive". This is the kind of advertising Narconon are using now, their ads are at the top of google pages. Although paid advertising is expensive, a lot of companies, including the small ones, use it. I think that Narconon lose money, but not because of paid advertising; thier losses are due to the lawsuits and idiotic management techniques based on the Management Series. Demented LRH wrote: "If you didn’t have the time or knowledge to get your website up to the top listings, there came a way for companies to immediately come to the top listings if they were willing to pay a fee for it. Essentially, a small company known as Overture began contracting with Google as a way to get advertisers who didn’t have the ability to organically generate high rankings to bid on ranking and be shown in a top position. Overture eventually gave way to what is currently known as “Google Adwords”. Google puts paid searches to the top and right side of organic listings. If you click on any of them, it costs the advertiser money. Paid advertising is extremely expensive". Each Narconon facility spends tremendous money on advertising. Narconon Int does as well. You have to remember that Narconon and related facilities under different names have thousands of fake referral sites on the internet and they advertise on well known treatment related sites as well. I will try to get you more specific information on this. 1. Does Narconon pay taxes? 2. If Narconon pays taxes, why other CoS departments do not pay taxes? Narconon will never admit that it is re-branding itself. Never. Their facilities have been using alias' for may years now, just changing them after the names and websites are exposed by damaging information on the internet. Narconon is still the same program but more on-source as scientologists say. More in line with Hubbard's Scientology technical references and management policies. Scientology policies are such that any problems the organization encounters is strictly due to incorrect or non-existent application of the specific references that the program is based upon. So, after a number of years of just terrible treatment of patients and bad press and many lawsuits, someone up in the management levels got the bright idea to have Narconon International and all the facilities it licenses be taken over by ABLE Int. ( acronym for Scientology's Association for Better Living and Education International - the license holder). Then teams went in and evaluated the problems in each facility - problems of the program not being run "100%" according to Scientology tech and policies, and made many staff get re-trained or leave. So, besides micro managing Narconons right now and doing everything they can to make all the bad press and lawsuits go away and stop all together, they added this caveat forcing people into arbitration. Of course, everything they are doing to try and clean up the program delivery is not working because the program is based upon Scientology's dangerous and misleading, unscientific alternative methods and people keep being lied to about it not being Scientology when it is. There are endless issues and no matter what Narconon does to switch things up, we always find out what is going on and the complaints never cease. Thanks for asking and sorry I didn't see your post until now. In 2003, Google changed it’s search algorithm with an update code-named “Florida”. Essentially, it would no longer consider “keyword stuffing” to be an accurate determination of rank. In many cases, websites simply sank in ranking. In other cases, Google sent out letters notifying website owners that they were completely de-listed and removed from any possibility of Google ranking. Ironically, many Narconon based websites were de-ranked, delisted, or in Scientology terms “disconnected from as being unethical” by Google itself. welcome to the Bake, johnnyjenz90. After three posts are approved, you become a regular poster. If Naronon has decreased in rating of it's relevant keyword density. this might also to a large degree comes from a possible inability to show results. 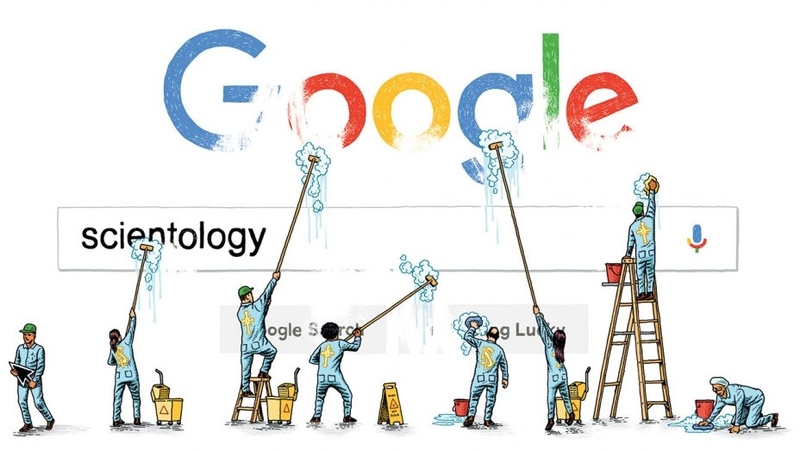 Google lives and dies with relevancy, the major Google algorithm changes are now more or less floating on daily basis. GOOGLE is building the largest store of knowledge in human history – and it’s doing so without any human help. Database could be the foundation for array of next-gen applications. The computed Knowledge-Based Trust (KBT) On synthetic data images ..
You might not even want to say or write the word SCIENTOLOGY or NARCONON, since very few speak or write the obvious. But this kill the knowledge in in not transmitting it, and speak to those who does not know. Two factors that interplays with the search enging result page SERP. And the extremely aggressively way they protect the things that Hubbard stole from a lot of contributors and then labeled Scientology. On the surface that might be true, but not deeper... in Google Xenu Scientology & Google Scientology censoring. Most mafia syndicate survive just because if liars and opposite projection with extreme aggression. Using a effective silencer like disconnection is also speaking hard in the unsaid and unexpressed deadbolts from the suburbs of hell.